When I got my domain name a couple of months ago, I was told by blogger than my old feed and url would always redirect to the new one. Last week, the redirect stopped working, and it didn't work for almost a week. Some browsers showed a message saying the blog was no longer hosted on blogger and was potentially unsafe, which is both puzzling and untrue. Others simply didn't open the site at all, and some even said the blog no longer existed (which resulted in a couple of concerned e-mails). To avoid another situation like this in the future, I'm asking you all to update. Thank you so much, and I'm very sorry for the inconvenience! Thing number two: Like I said a couple of days ago, I'm really sorry that I haven't been able visit your blogs lately, or to respond to comments quickly. The end of the semester is not normally this painful, but the wrist injury I had a couple of weeks ago made me lag behind, and now I'm struggling to revise for finals and finish projects and essays that are due soon, as well as catch up on my work as a research assistant. I'm not really sure when I'll be done with everything, but my last finals are this week, and things will be much easier after that. I have a few books I finished that I'm dying to tell you about, so hopefully I'll be able to do that soon. Thing number three! Did I say free books? Why yes, yes I did. 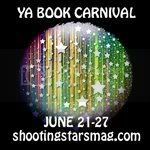 The YA Book Carnival is being hosted at Shooting Stars Mag this week, and I've been looking forward to it since it was first announced. Unfortunately, I forgot that it was going to be during my crazy week and didn't prepare anything in advance. But hey, it's never too late for a giveaway, right? Since yesterday was Sci-Fi and Fantasy day, let's combine the two events: I'll draw a name and buy the winner a sci-fi or fantasy YA book of their choice. Just tell me in the comments which one you'd pick if you won, because I'm curious like that. The giveaway is open worldwide and the winner will be announced on Sunday. Good luck! Sorry for the redirect trouble! That's very frustrating! I'd love to enter your contest :) If chosen, I'd probably go for Melissa de la Cruz's Blue Bloods -- vampire novels have gotten so popular, of course, and I enjoy the fantasty elements of those types of stories. I've been hearing about that series for a while and would like to give it a try! You are IN my reader and always will be, my dear. You ROCK! The domain thing is frustrating and something that shouldn't be contributing to your stress just now. I hope it will resolved. I think I would have to say The Hunger Games by Suzanne Collins as I've been reading good things around the blogosphere. I also have Meg Rosoff's new book on my published (The Bride's Farewell?) on my wishlist as I enjoyed What I Was so much, but that isn't published until later this year. Oh oh what a paralyzing question!! Which YA fantasy or scifi would I pick if I won?? .......well, I had to scan through all my Goodreads list to call out help for this one. I think I'd have to take Melissa Marr's Wicked Lovely. I've heard so much about the series and haven't read any of her books yet. Sorry about all the school and blogger troubles. I did adjust my feed so that I shouldn't have any problems getting your posts. I've been getting to your site just fine; hope the trouble is resolved soon. If I could pick, I'd get a copy of Jane Yolen's new book in the Pit Dragon series: Dragon's Heart. I loved the series way back when I was a teen, and she finally wrote a fourth one! Gotta read it, but they don't have it at my library yet (or ever). I'm slow - I just changed my feed. Thanks for the reminder. When you first asked that question, I thought, "Wow...nothing like making it hard on us." ;) But then immediately after that thought, Flora Segunda popped into my head and I KNEW I need look no further...that is definitely the YA fantasy I've been most craving! Google Reader has kept me up to date, so hopefully all issues are resolved! Good luck with finals! If I had to pick, I think it'd be Hunger Games by S. Collins, it seems to be everywhere right now. I don't read a lot of Sci-Fi, How about you suggest one? I can always trust your opinion. I had the same problem when I changed over. The redirect didn't work and my blog is still in recovery. I will update. Yeah..I went through a week with no Nymeth. Thought you had disappeared. But I have the domain changed, so it's all good now!! Good luck with Finals. Horrible time, I remember. And I've been trolling the YA Carnival. Lots of great blogs and books to be had!! I'm glad it's working now and I hope everyone switches over soon! I'd be very sad if your blog vanished from my GR, so I'm glad I had the most current feed in the first place. Good luck with the end of the semester. It's always the worst part of the year and must be even harder if you're behind. I hope it all goes well! I'd have to go with Fragile Eternity by Melissa Marr. I'm reading and loving Ink Exchange and I foresee myself really needing that next one after I've finished! Hope the redirect issue resolves itself. I'm a relatively new subscriber, so I've got the right feed. Thanks for the giveaway! I'd pick The Hunger Games by Suzanne Collins if I won. I've heard so many great things about that book! Good luck with the end of semester craziness. I'd have to go with the new Patricia C. Wrede book, Thirteenth Child, because who doesn't love magic and an alternate history Wild West? Wow, Nymeth, so busy! And how lovely of you to host this contest! If I was to win, I think I would pick Wings by Aprilynne Pike. I've heard such great things about it, it has me curious! I've got you in my reader. No problems! This is fun! Any book? Hmmm. I'll go with an older one from my new favourite author: Bitten by Kelley Armstrong! Sending you virtual support and hugs. I have faith that you'll get it all done, though! I updated my feed yesterday, but Blogger had been forwarding just fine up until that point. As for your tempting free book.. I really really want to start reading the Mortal Instruments series. It has a nearly perfect rating on GoodReads... and I just started working in a YA fiction company. So I feel the need to read wayyyy more YA than I've been reading! I'd chose The Hunger Games by Suzanne Collins. What a wonderful contest, Nymeth! Thank you! Is the Gormenghast trilogy YA?? If yes, then I'd love to enter for the first book, Titus Groan by Mervyn Peake. I've been dying to read them for years. If they're not YA, then my choice is The Neverending Story by Michael Ende. Oh, good luck with your finals! I remember how nervewracking it was. My thoughts are with you! You will rock them! I'm sorry about all the blogger trouble. That's not cool, but thanks so much for being part of the carnival. I hope it's a lot of fun for people and I really appreciate you doing something since you're sooo busy and everything!!! If I'm able to enter, I think I have to say what others are picking...The Hunger Games (unless I get it somehow this week LOL) b/c I've wanted to read this for a long time, but alas, I didn't get a review copy and I always forget whenever I go book shopping...or I don't have enough to get anything besides what I'm already getting. Ooh a giveaway. I am always a sucker for one of those. I would choose Fairytale by Cyn Balog which is YA fantasy. It is due out this week and looks fabulous. I hope life eases out for you soon and your wrist eases too. Uhm, uhm... The Rose Bride by Nancy Holder. Because random.org told me so. I have way too many YA fantasy books on my wishlist and had no idea which to choose. So I threw them all into random.org and let that choose for me. It's on my wishlist because it's a retelling of "The White Bride and the Black Bride" which is a fairytale I've always had a soft spot for. Random giveaway fun! *huggles Nymeth* You are a love, you are. Any YA sci-fi or fantasy book? Nymeth, you are awesome. I'd either pick the Hunger Games, because I've heard so many good things about that, or The Lightning Thief, the first of the Percy Jackson & The Olympians series, because I heard an interview with the author on NPR and loved Greek Mythology as a kid (seriously, I was Aphrodite for Halloween in 2nd grade). P.S. I'm giving away a copy of Three Cups of Tea on my blog this month! Well, the book I'd like to win is City of Bones by Cassandra Clare. I've heard so much about it, I'm really curious! I am going to say The Explosionist by Jenny Davidson because it has been on my wish list for over a year and I still haven't got it. I would also like Un Lun Dun by China Mieville. I've been wanting to read it for quite some time now. No way I would lose track of you! Put my name in the hat and if I get luck I'll have to chose! I'd have to say The Hunger Games because it looks amazing, and I feel like I'm the only person who hasn't had the chance to read it. I asked for it for my birthday, but no luck. So, I would love to be entered in your giveaway! If I win I would choose the newest book in the Vladimir Tod series: Tenth Grade Bleeds--assuming we can wait that long. My son has been anxiously awaiting its release, it comes out tomorrow! I'm sending good thoughts your way as you work toward finishing up your semester. Please enter me in your drawing! If I were to win I'd love a copy of The Thirteen Clocks by James Thurber. I'd love to enter! If I had to pick a book I'd pick the Awakening by Keeley Armstrong! It looks sooo good! Thanks for this giveaway! I've really been looking forward to SILVER PHOENIX by Cindy Pon. Heard loads of good stuff about it. Thanks again! Alright, if I win this, I would want.. Never Cry Werewolf by Heather Davis. It was so hard to pick which one cause there are so many great sci-fi/fantasy books out right now. I want them all! Hey, Good luck with everything at school especially this week. A YA fantasy I would love to read is Assassin's Apprentice: Oathbreaker Part 1 by S.R Vaught and J.B Redmond. It is supposed to be a classic fantasy with intrigue and magic very interesting. P.s mee- Hunger games has been published in Australia it has the UK cover I got mine from Big W.
I hope your wrist is slowly but surely getting better. You don't have to enter me in the contest. I am knee-deep in books right now. =) Good luck with all your projects. I would pick either The Hunger Games because I have heard so much about it and everyone seems to love it. That I am now really interested in reading it. Or Fairy Tale because currently books about fairies are my favorites. If I win I would probably go for Faery Rebels by RJ Anderson. I haven't had any problems with your feed either. Hopefully, its all fixed now. How frustrating for you. If I win, I'd go for WINGS by Aprilynne Pike. I've heard lots of good things about it. Thanks for the contest! So much fun. Good luck with the finals, projects etc! As for the book, I'd choose Nation by Terry Pratchett since I've heard such good things about it! Hi Nymeth, good news: the redirect always worked fine in Google Reader (too bad it didn't elsewhere). For the moment I'm sticking with the old feed because it's full of "starred" posts where you reviewed books that you made me want to read... but thank you for letting us know where to look for you in case Google Reader stops working :) (Other bloggers I follow didn't, they just changed their feed and I lost track of them for a month before realizing what had happened). Good luck with your exams and I hope your wrist will not cause any more problems. Oh, and as for YA fantasy/science fiction, I'm not that into it and wouldn't know where to start (although commenters before me left quite a few good suggestions), but I'm sure I would be doing great if I let you choose! I had the blogspot address in my Reader and it redirected me here just fine. I changed it to the new one, though. As for a sci fi/fantasy YA book. The Hunger Games, I guess, since everyone is raving about it. But I should probably wait until all three are written, because I heard it's that good! I've been used to being redirected, but I'll change my links asap! If I win, I'd like Tender Morsels (Lanagan), I think. That's YA, right? I've updated my feed subscription! :) I would love to win Wings by Aprilynne Pike! Seems like a great read! Thanks! I'd choose Academy 7 by Anne Osterlund. What a great contest! I would love to read Fairy Tale, by Cyn Balog. I would love to win Tenth Grade Bleeds by Heather Brewer. Your feed works great. All ok at my end. I'd have to go with Hunger Games as well. I've heard good things about it and would love to win it. That's too bad about the redirect/blogger drama; hope it all clears up soon! Anyway - if chosen, I would probably go with THE SUMMONING by Kelley Armstrong, because I've heard such great things about that series, but I actually haven't read it yet. Either that, or Melissa Marr's series (which I have also yet to read). I just updated my blog link, I tried getting here this past week, but couldnt get thru. Just double-checked the feed and it's working! Take care of your wrist and all the best wrapping up the semester! and I hope your wrist is feeling better. I'd love to be entered in your contest. If I won I would love to have Shiver put on pre-order, but I doubt that counts. So I'll say either The Hunger Games or Fairy Tale. I've heard a lot about The Hunger Games by Suzanne Collins so that would be my choice. I still haven't purchased Hunger Games, even though I've been meaning too, so I'm pretty sure that is what I'd pick. Though, I've also wanted to own Keturah and Lord Death for a while too...I'd have to think about it for a bit! Hi Nymeth! I'm on a blogging break (though I might be starting to review again), but I always read your blog, even though I don't comment. I'm a faithful lurker! I'd like to take part in your contest, but I'm not very much into YA science-fiction or fantasy. At the moment I'm coveting Wintergirls by Laurie Halse Anderson, which is YA all right, but neither sci-fi or fantasy, I'm afraid. Anyway, I have a recommendation for you: if you haven't read it already, you have to get The Adoration of Jenna Fox. It's YA science fiction, particularly focused on bio-ethic issues, and it's amazing (I've been re-reading it lately, and it's even better than the first time). I think it has also recently come out in paperback (although I liked the hardback cover a lot better). This would be my choice for your contest, if I didn't own the book already! Good luck with ending your semester, and take care. I would say The Hunger Games by Suzanne Collins, just to own it because it's amazing. This is such a hard choice that I coldn't narrow it down to only one book. So I would want either Wicked Lovely by Melissa Marr or The Hunger Games by S. Collins. Also, thank you so much for all the good wishes regarding the end of the semester. I finished one huge project today; only two essays to go! About the feed and redirection problems, I apologize for creating some confusion. I know it's working fine now - it didn't work between Tuesday last week and Monday this week. 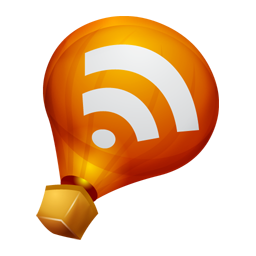 This was a Blogger problem, so it affected every blogspot blogger with their own domain name. The only reason why I asked you to update even though it's working fine now is so that if this happens again in the future as few people as possible will be affected. Again, I apologize for the inconvenience! And finally, I apologize for not replying to the comments one by one, but know they are all very much appreciated in any case! Debi: No, you did not make that up, lol :P That's the day the last of my essays is due. After that I'll still have work for the rest of the month, but just now having both will be a HUGE relief! And excellent choice, btw! Nicole: I've updated yours also! Grrrr at blogger. Claire: Gormeghast is for adults (and the YA specification is the Carnival's rule, or else I'd bend it), but The Neverending Story is an excellent choice! Such a lovely book. Rebecca: Thank you for the tag! I'll do the meme once I'm back to blogging full time. Lauren, thanks again for hosting the carnival! Scrap Girl: My wrist is doing better, thank you :) And Fairytale does sound like a great book. Shanra: You couldn't be sweeter if you tried! I know I should take a break from computers all together, but unfortunately I can't because of work :( I'm doing much better, though. I wear the wrist brace if it starts bothering me and I make sure I take frequent breaks. And oooh, now I want The Rose Bride too! J.T. Oldfield: Awww, thank you :D Both are books I've heard great things about. And you know, that's another thing we have in common. I was completely obsessed with Greek Mythology as a child. Francesca: I don't expect the redirect to break down again anytime soon, but I did want to make sure that everyone would know where to find me if it happened. And now you do :) And thank you for trusting me enough to let me pick if you win! Marineko: Yes it is! And what an excellent choice - I was hoping someone would pick that one. Alice, thank you so much! And likewise. Naida: Sorry about that! And thanks for the good wishes. Alessandra, thank you for letting me know you're reading :) And thank you also for reminding me of Jenna Fox! I was dying to read it last year after Dewey, Debi, Valentina and a few other bloggers reviewed it, but in the meantime I had sort of forgotten about it. I'm happy to hear it's out in paperback! And again, my apologies to those to whose comments I didn't reply! I would chose Shiver or Blue Moon. Pssh. I'm sure I could be sweetert if I tried... I am trying. You use that wrist as little as possible until work is done then! I'll be... cross and... No, wait. Threatening to send you books isn't going to make you less likely to use that wrist, is it? Wow! How fun! I'd choose Fairy Tale by Cyn Balog or Prada & Prejudice by Mandy Hubbard. I've been wanting to read The Graveyard Book by Neil Gaiman. Thanks for this contest! I'd really like to read The Book Thief by Mark Zuzak. I'd probably go with Eyes Like Stars too. Even though I own the ARC, I really want to own the hardcover with the pretty cover. I noticed that mine wasn't being redirected either. Even some of my old links to my posts that I never got around to changing on my own blog. Need to find time to fix that . . . I am sorry you've been so busy! I know the feeling. I hope your wrist is all better now. i"d love to win! I would have to say The Hunger Games. Maybe Wings or Strange Angels......can't truly decide now. Thank you for the giveaway. With further consideration, and since it has yet to be mentioned, I would say Bog Child by Siobhan Dowd, as I am desperate to read it. So many YA books to look out for! Shanra: lol! I'm afraid not :P But even though I've had to work on the computer a lot this week, it hasn't hurt at all! I think it's actually healed. Literary Feline: I was so sad that my review index stopped working :( I did most of it using the old blogspot urls. But Blogger fixed the problem now, and hopefully it won't happen again. Claire, an excellent choice! I saw that it had won the Carnegie last week and was reminded of how much I wanted to read it. I would pick Wings by Aprilynne Pike. Great give away!!! If I won I would pick Need by Carrie Jones, it sounds so amazing and I can't wait to read it. The giveaway is now closed. Sorry everyone. Hmm..either the 3rd book in the Mortal Instruments series by Cassandra Clare or The Hunger Games by Suzanne Collins.